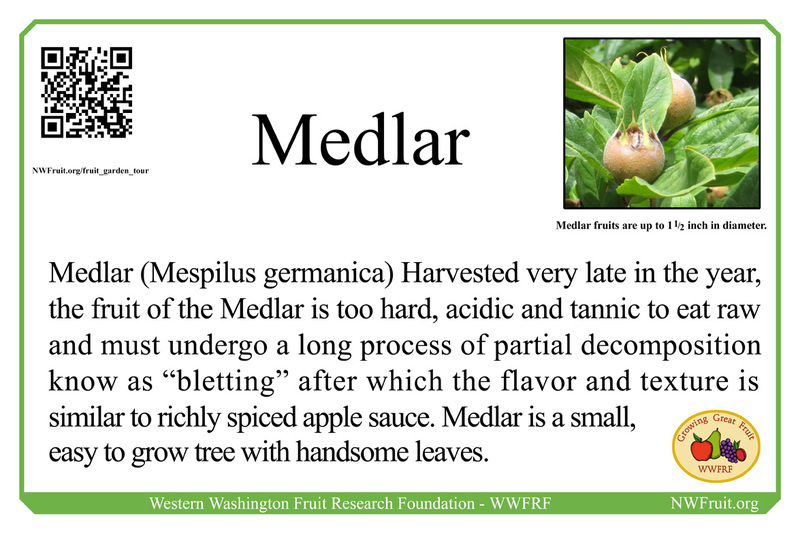 The wild medlar is native to south-eastern Europe and Asia Minor, and was domesticated by the Greeks and Romans as early as the second century BC. Along with the Quince, the Medlar was in common usage from classical times through the Middle Ages. Since that time both Quince and Medlar have been almost completely supplanted in popularity by Apples and Pears. 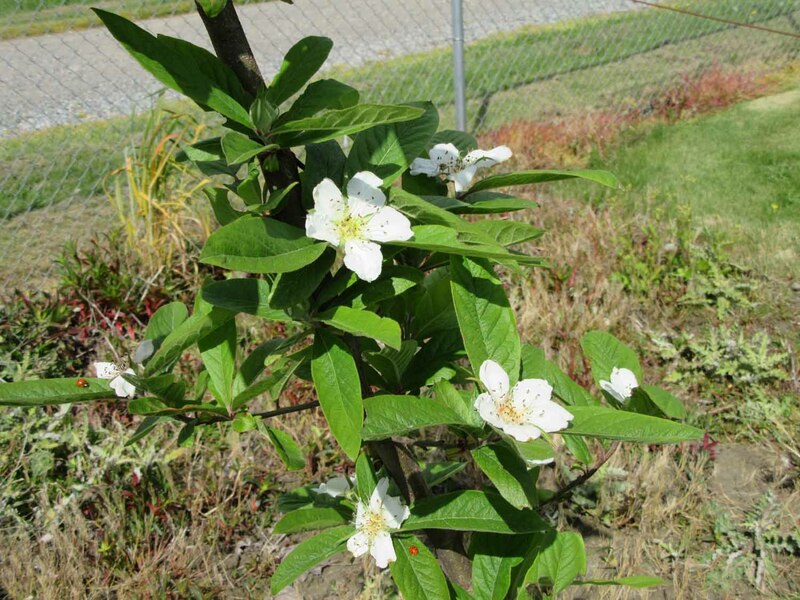 Medlar are propagated by grafting onto Hawthorn or Quince rootstock, and are maintained much like semi-dwarf apple or pear trees. The fruit takes an unusually long time to ripen, hanging onto the tree until after the first frost. Once harvested the fruit must be allowed to blett, a process marked by breakdown of complex sugars, reduction of acid and tannin, and dramatic softening of the flesh. Sometimes repeated cycles of freezing and thawing can hasten the bletting process. Sources: D.H Lawrence, “Medlars and Sorb-Apples”. Information from the Royal Horticultural Society.